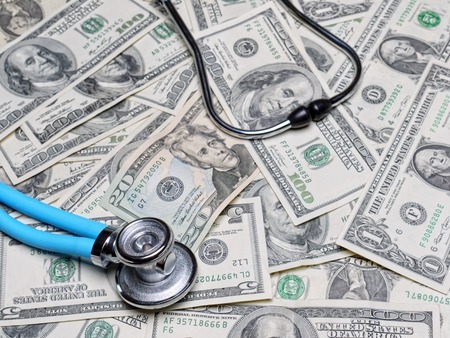 Every year for the past four years at least 40 billion dollars has gone to waste because the Centers for Medicare and Medicaid Services (CMS) has declined to audit its own expenditures to ensure that unintentional medical billing errors are caught and corrected. That is a stunning claim being advanced by Kristin Walters of The Council for Medicare Integrity in a recent op-ed in The Hill , who notes that the CMS has the tools it needs to stop the waste, but has chosen to not use them. Medicare wastes more taxpayer dollars than any other program government-wide, with more than $40 billion lost annually. It’s outrageous that the federal government allows such rampant wasteful spending to persist while it is in dire need of funding to bolster important healthcare programs — whether to extend full Medicare coverage, improve health services for veterans or extend funding for the Children’s Health Insurance Program (CHIP). We’re not talking about Medicare fraud here, that’s accounted for separately. The loss of $40 billion each year is due purely to rampant billing mistakes — coding errors, double billing, upcoding — issues that could be easily caught and corrected. In fact, over the past four years these billing errors have drained more than $166 billion from the Medicare Trust Funds…. Interestingly, the ability to stop the hemorrhaging of taxpayer dollars from the Medicare FFS program exists, is in place and has been tested — it’s just barely being used. After seeing its success in the private sector, Congress mandated the Recovery Audit Contractor (RAC) Program in 2009 to review post-payment Medicare FFS claims, identify improper payments and return misbilled funds back to the program. Since the RAC Program began, more than $10 billion has been returned to the Medicare Trust Funds, all while auditing a mere 2 percent of a provider’s claims. Recently, the Centers for Medicare and Medicaid Services (CMS) scaled back the RAC program, allowing auditors to only review 0.5 percent of a Medicare provider’s claims — essentially green-lighting the continued loss of tens of billions of dollars from the program each year. The Council for Medicare Integrity is a Washington, D.C., lobbying group backed by firms that perform the recovery audits, so its view may be somewhat one-sided. 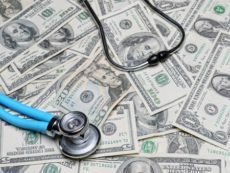 The report, which covered the federal government’s fiscal 2015, noted a dramatic slide in the amount of money returned to Medicare’s trust fund due almost entirely to the government’s temporary prohibition of auditing inpatient hospital claims…. In addition to the CMS’ decision to prohibit inpatient reviews, Evans believes the stops and starts to the program as well as the slow re-procurement throughout 2016 hurt improper payment corrections. CMS appears to have made its decision to limit the actions by RACs to recover improper payments in part because of a surge of appeals filed by hospitals, which have created such a huge backlog of appeals to challenge audit findings that a federal judge ordered CMS to take action to clear the over 800,000 cases filed by hospitals by the end of 2020. In typical bureaucratic fashion, it appears that CMS has opted to suspend and restrict new recovery audits that might reduce significant waste, rather than improve its ability to address the appeals in a more timely manner, or to take more positive actions that would minimize the incidence of medical billing errors in the first place. The interests of U.S. taxpayers and Medicare patients, who would benefit from the reduced risk of being overbilled, don’t appear to be of high priority to CMS officials, and as a result the U.S. government is needlessly racking up expenditures of $40 billion a year more than what it should have to pay for what it is actually getting for its money. But that’s just small change in the grand scheme of the bureaucrats’ cost of doing business.